LOOK: Official family photo of the APEC Economic Leaders Meeting in Manila - Balita Boss! 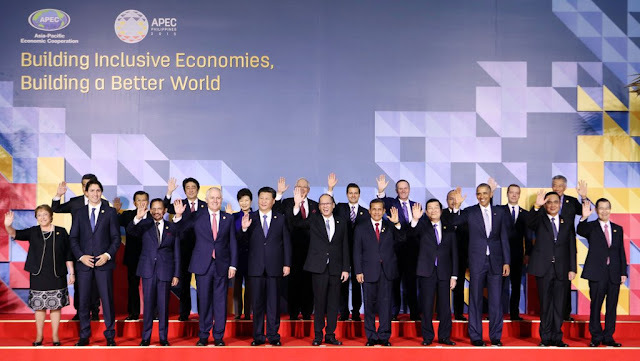 Leaders of Asia-Pacific Economic Cooperation (APEC) member economies posed for an official "family photo" of APEC 2015 Economic Leaders Meeting at the Philippine International Convention Center in Manila Thursday morning, November 19. 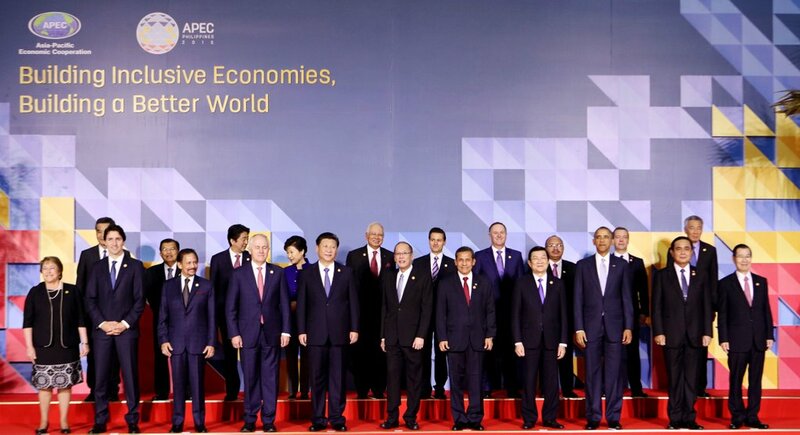 Front row: (L-right) Chile's President Michelle Bachelet, Canada's Prime Minister Justin Trudeau, Brunei's Sultan Hassanal Bolkiah, Australia's Prime Minister Malcolm Turnbull, China's President Xi Jinping, Aquino, Peru President Ollanta Humala, Vietnam President Truong Tan-sang, U.S. President Barack Obama, Thailand Prime Minister Prayuth Chan-ocha, Chinese Taipei former Vice President Maying-jeou. 2nd-row: Hongkong Chief Executive CY Leung, Indonesia Vice President Jusuf Kalla, Japanese Prime Minister Shinzo Abe, South Korean President Park Geun-hye, Malaysia Prime Minister Najib Razak, Mexico President Enrique Pena Nieto, New Zealand Prime Minister John Key, Papua New Guinea Peter O'Neill, Russian Prime Minister Dmitry Mevedev, and Singapore Prime Minister Lee Hsien Loong. The family photos was shared by @apec2015ph, the Official Twitter account of APEC 2015 Philippines.